Today's mobile video games can knock your socks off with beautiful graphics, surround sound audio, and realistic physics effects. No surprise there, as modern smartphones pack enough processing power to deliver all this at a fluid framerate. You won't get any of this from the games we have listed below. What you will receive, on the other hand, is a solid dose of nostalgic video game fun. The slideshow below contains many of our favorite old-school PC and console games in the form of Android and/or iOS apps. They aren't remakes, however. The releases we've picked are all remasters of the originals. In other words, you get to enjoy each title in its purity, with none of the action, the feel, or the story altered or excluded. So, if you're feeling nostalgic and don't mind spending a few bucks on a retro gem, go take a look at our picks below! And if you feel like we've missed a game that should have been on the list, just let us know in the comments. This is a title that needs no introduction to anyone who has grown up during the 90's. For anyone else, Tomb Rider is a 3rd person 3D game where you take control of Lara Croft – an adventurer in search of the secretive Atlantis and its lost treasures. Also, dinosaurs, among other animals, are involved. Everything from the game's original release – from the blocky graphics and clunky controls – has been preserved in its authenticity. 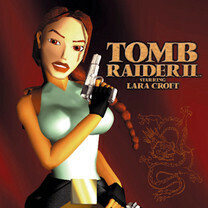 While the original Tomb Raider is available on both Android and iOS, iPhone and iPad owners can also enjoy the sequel, Tomb Raider II. The most popular Heroes title has gone mobile! If you're not familiar with the franchise's style, you're looking at a turn-based strategy game, originally released in February 1999, where you lead a hero and their army against hordes of mythological creatures. The mobile release features 7 campaigns and 50 skirmish maps. You may play against the computer or against a human opponent à la pass-and-play. Baldur's Gate is a role-playing game with a Dungeons & Dragons flavor. You get to customize your hero's traits and abilities to make him stronger. Along the way, you recruit a party of brave allies, with whom you explore the far corners of the Sword Coast in search of adventure and loot. And before you complain that the game is too expensive for something made in 1998, we'll just say that Baldur's Gate takes about 60 hours to complete if you know what you're doing. This is a game you should not be playing if you have a driver's license test coming up. Why? Well, because in Carmageddon, you're given points for driving over pedestrians (and cows). This also explains why the game was banned back in the old days. Technically, your goal is to finish the race first, but blasting all of your opponents to smithereens also works. What makes the game even more fun are the open, free-to-explore levels and the secrets scattered around them. Lester is a young boy wonder who accidentally transports himself into another world after a lightning strikes his lab. And while mesmerizing, it isn't a hospitable one – in this strange, unfamiliar place, dangerous creatures wanting you dead lurk from all corners. Your not-so-simple goal is to survive and make your way home. Meet Manny Calavera, travel agent at the Department of Death. He sells luxury packages to souls on their four-year journey to eternal rest. But there's trouble in paradise. Help Manny untangle himself from a conspiracy that threatens his very salvation. Despite the quirky backstory, Grim Fandango is one of the best classic adventure games you can get your hands on. And now for something completely different. In Crazy Taxi, which is a fitting name indeed, you drive people around town in your cab. The faster you get to their destination, the more money you earn. The fun part is that your passenger won't really mind if you, let's say, drive through a park or a coffee shop to get to the spot faster. It's going to be a sleepless night if you start playing Myst before bedtime. It is a wonderful puzzle game set in a surreal world shrouded by mystery. And the game is not an easy one, so if a challenge is what you're looking for, do not hesitate to give it a shot. Myst is remastered release of the original, while realMyst is a 3D version of it with improved visuals. In the mood for a classic role-playing game? Many of the titles from the Final Fantasy franchise are available on Android and iOS, with their stories and game mechanics untouched. They're fun and epic as usual, but as they cost up to $15.99, they're undeniably expensive for a mobile game. And lastly, we have Sonic CD – a timeless jump and run game by Sega. It is up to you to stop Robotnik and his evil schemes, and perhaps collect the chaos emeralds along the way. I am waiting for the NFS Most Wanted 2008 to be remastered for smartphones. Hellz yea. would be perfect on smartphones. But knowing EA and they're mobile foolishness, they'd just destroy it. How the hell does PA miss BioShock? Literally the best game I've ever played. Max Payne is five out of five stars. GTA San Andreas and Vice City. Masterpieces. FPse ando any ps1 rom you want. Brilliant. I'll grab Tomb Raider. Should be a decent time waster. I'd like to get that Grim Fandango game, but $10 is a little steep. No listing for XCom, GTA or Knight of the Old Republic? These were pretty popular too.